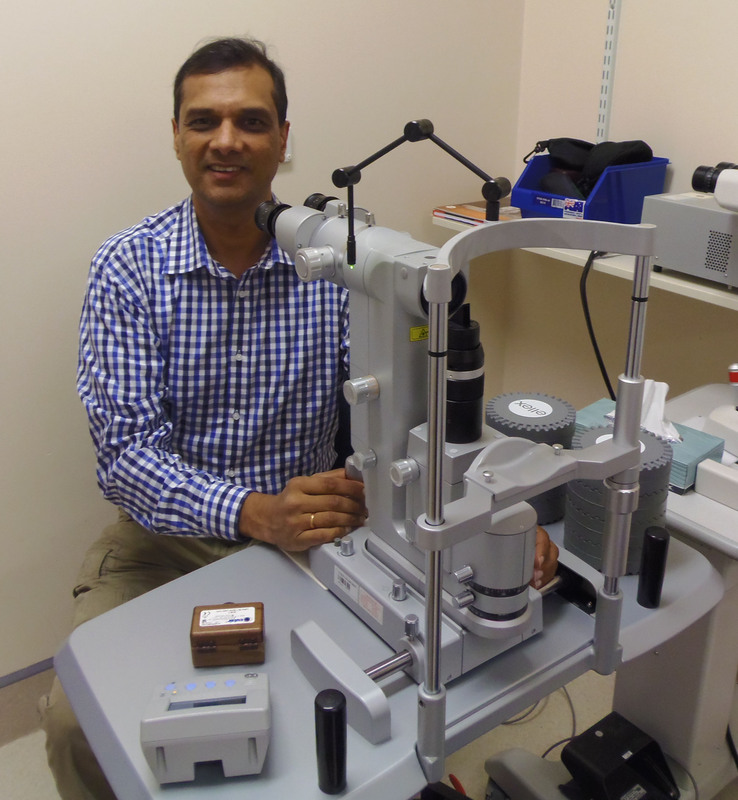 Local eye patients will have access to the most modern form of treatment for glaucoma with a new laser being installed in the Broken Hill Health Service. A $72,000 Selective Laser Trabeculoplasty (SLT) ophthalmic laser will be available for use by ophthalmologists (eye surgeons) to lower the intraocular (eye) pressure in patients who have glaucoma. “This is the latest form of treatment for this important eye disease, which is the leading cause of irreversible blindness in the community,” said Mrs Jan Pearce, Nurse Unit Manager Specialist Clinics. Dr Ashish Agar with the new eye laser machine. SLT treatment can control the eye pressure for a few years and is repeatable. It is very safe, with no major or permanent side effects or complications. The procedure is done in the hospital’s Specialist Clinic and is quick and relatively painless with patients back to normal activities within a few hours. SLT can be used as an alternative to, or in addition to, traditional therapy with daily eye drops. Depending on how effective the SLT is in an individual patient, they may no longer need to take drops, or reduce the number of drops needed. The new laser will mean a significant improvement in services for Broken Hill and area patients, said Mrs Pearce. “Our patients will now have access to the most modern form of treatment for glaucoma,” she said. The new SLT also incorporates a YAG laser, which is used to correct a common after effect (cloudiness in the vision) of cataract surgery. The YAG laser will replace an older one.